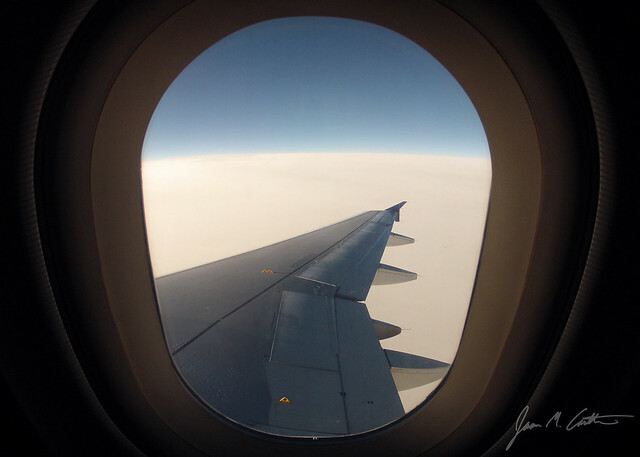 How many of us have tried taking a photo out the plane window? It can be a little challenging with the darkness of the plane and the brightness of the outdoors. So on my way to Philadelphia a week ago, I whipped out my GoPro to take a few shots out the window to see if the wide-angle of the GoPro would make for a good photo. 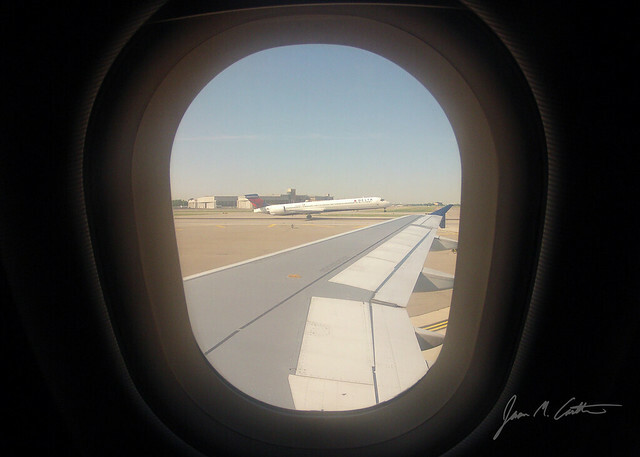 I took that photo while in the air, but when we landed in Minnesota, I whipped out the GoPro when I noticed an airplane on the other end of the runway waiting to take off. In order to catch it out my window, I had the camera set to take a photo every .5 seconds in hopes of catching it. Well, here was the result. Nothing really earth shattering, but I think it just goes to show that my mind is almost always thinking about ways to photograph the world around me. My wife mentioned to me the other day that a lot of my life is seen through the viewfinder. Is that good or bad? Previous Post Previous post:Take me out to the ball game… for the first time!